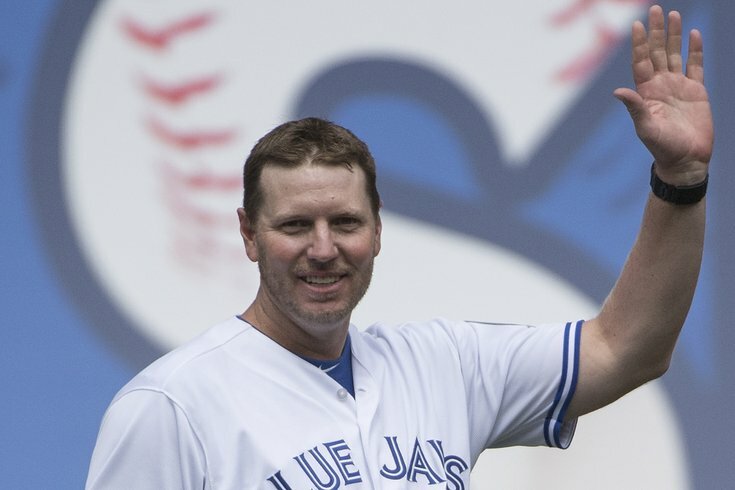 Roy Halladay acknowledges the crowd after being introduced during the Toronto Blue Jays' 40th Season Ceremonies prior to a game against the Houston Astros at Rogers Centre. The Pinellas-Pasco Medical Examiner's Office released autopsy and toxicology reports this week on Halladay's body. The two-time Cy Young Award winner died after his plane crashed into the Gulf of Mexico near Tampa, Florida. Two-time Cy Young Award winner and former Phillies ace Roy Halladay had evidence of morphine, an amphetamine and a sleeping aid in his system when he fatally crashed his plane off Florida's gulf coast in November, according to multiple reports. A report released by the medical examiner's office serving Pinellas and Pasco counties in Florida also showed that Halladay's blood alcohol content was .01 and he also had the antidepressant fluoxetine, commonly known as Prozac, in his system, USA Today reported. Halladay died from blunt force trauma with drowning as a contributing factor when his single-engine, light-sport aircraft crashed in the Gulf of Mexico near Tampa on Nov. 7, according to the report. He was the only person aboard the aircraft. Amphetamines are a stimulant typically used to treat ADHD or narcolepsy, and morphine is found in various prescription pain-killers. The sleep aid is listed in the report as zolpidem and is more commonly known by the brand name Ambien, the Tampa Bay Times reported. TMZ reported that the Food and Drug Administration lists on its website that more than 50 ng/ml of zolpidem "appears capable of impairing driving to a degree that increases the risk of a motor vehicle accident." Halladay's toxicology results showed 72 ng/ml of zolpidem in his system, according to the report. Halladay spent the final four of his 16 major league seasons with the Phillies, retiring in 2013 after chronic back and shoulder problems had hampered his last two years in baseball. A week after his shocking death, the Phillies and the Toronto Blue Jays held a celebration of Halladay's life at Spectrum Field, the Phillies' spring training home.